Ron Dayne ran into the college record books with 7,125 career yards rushing for Wisconsin over a 4 year period from 1996 to 1999. In both 1996 and 1999 he cracked the 2,000 yard plateau for the Badgers. During his senior season Ron ran 337 times for 2,034 yards and 20 TDs, culminating in him winning the Heisman Trophy and wresting the rushing record from Ricky Williams. Ron was selected in the 1st round of the 2000 NFL Draft by the New York Giants. With Gary Brown on the way out in New York, the Giants were looking to shore up their woeful backfield which had a woeful combined 1408 yards rushing. Ron was a good fit for the team. With the emergence of Tiki Barber at runningback at a hair above 1,000 yards, Ron took on more of a fullback/ short yardage/ bam back role for the Giants. He’d start 4 games and rush for 770 yards on 228 carries and 5 TDs as NY made it to the Super Bowl. 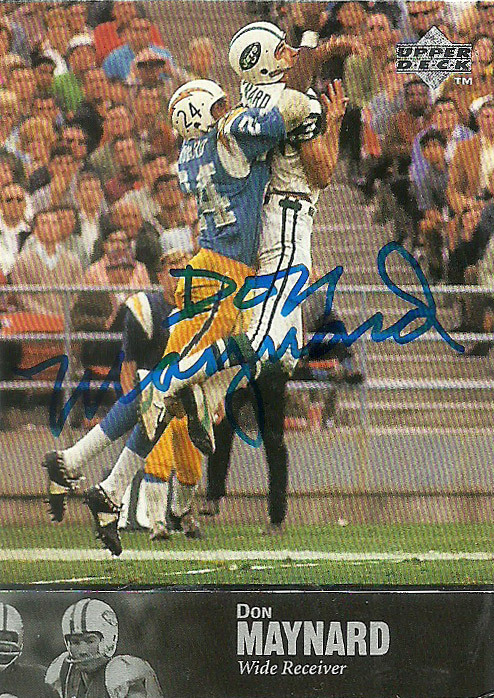 Fans dubbed Ron ‘Thunder’ and Barber ‘Lightning’ based on their 1 2 punch in the backfield- however this was the high point in his early career. Ron really never found his footing in New York as a starting back. During 2001 he’d start 7 games, and there was always the concern about his yards per carry which hung consistently around 3.4 yards per carry. 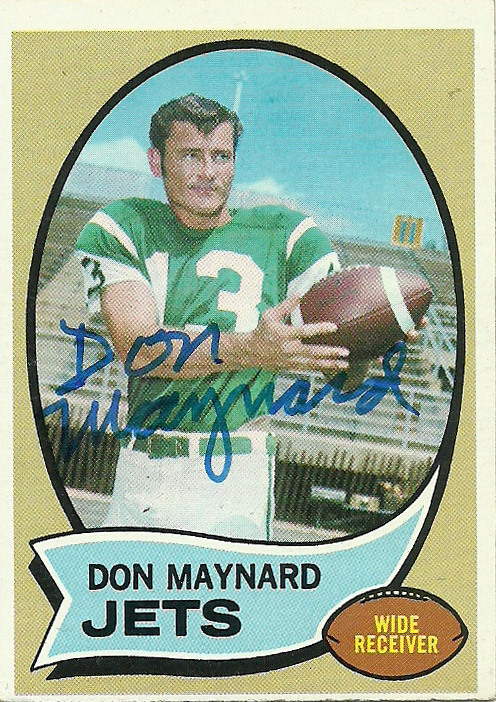 Injuries were also an issue, as it seemed unfairly that the idea of running players into the ground before they made it to the pros became popularized after Dayne was drafted. His stats dropped every season in New York until he was released after the 2004 season. Ron signed with the Denver Broncos in 2005, eager for a fresh start, but after a dubious start, he finished with only 270 yards and a TD in 10 games. On the bright side, he had a career high 5.1 yards per carry- but it’d be his only season playing for the Broncos as he’d be unceremoniously cut in camp. Ron was snapped up by the Texans looking for veteran help at the runningback position to pair alongside Vernand Morency and rookie Wali Lundy after Domanick Davis was shelved on IR. Ron had previously played under offensive coordinator (now coach of the Texans) Gary Kubiak in Denver so this made a good fit. In 11 games (6 starts) Ron would have a renaissance of sorts with the Texans, rumbling for 612 yards and 5 TDs (4.1 YPC). He’d return in 2007 to Houston, and start a career high 8 games filling in for Ahman Green, rushing 194 times for a career high 773 yards and 6 TDs (4.0 YPC), and helping the young franchise reach an 8-8 record. Dayne lives in Wisconsin. I got his autograph through his website via jumping through hoops and paying a fee. 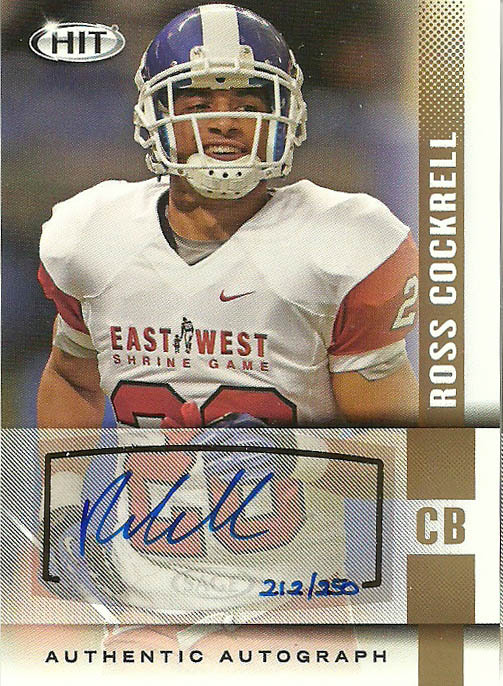 I had always wanted to get his autograph for a variety of reasons, (Heisman Winner, College All-Time Cumulative Leading Rusher, he played for the Texans) and this great card. I couldn’t get a scan to do the bottom portion justice but based on the photo area alone, it’s a nice piece. On a side note, I was told by a Texans player that Dayne loved to play cards on plane flights (and was an easy mark).